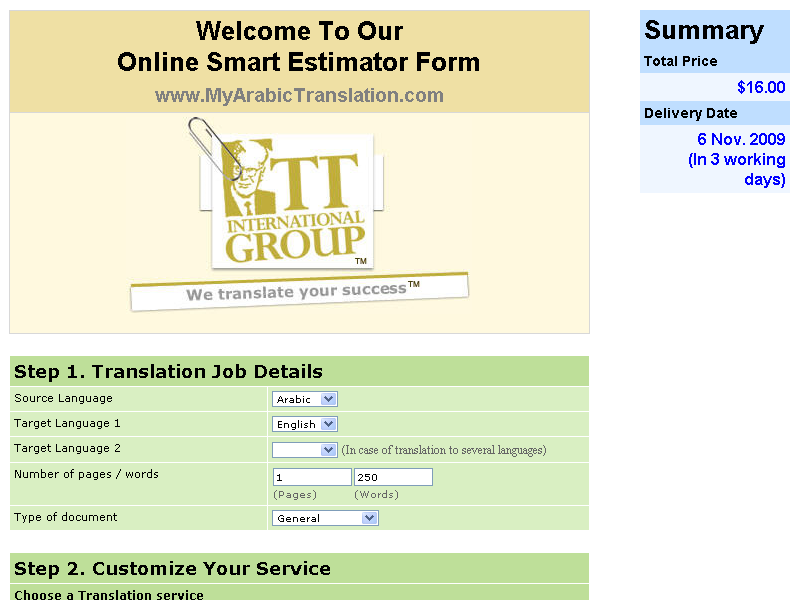 Showing the beginning of the Online Smart Estimator. 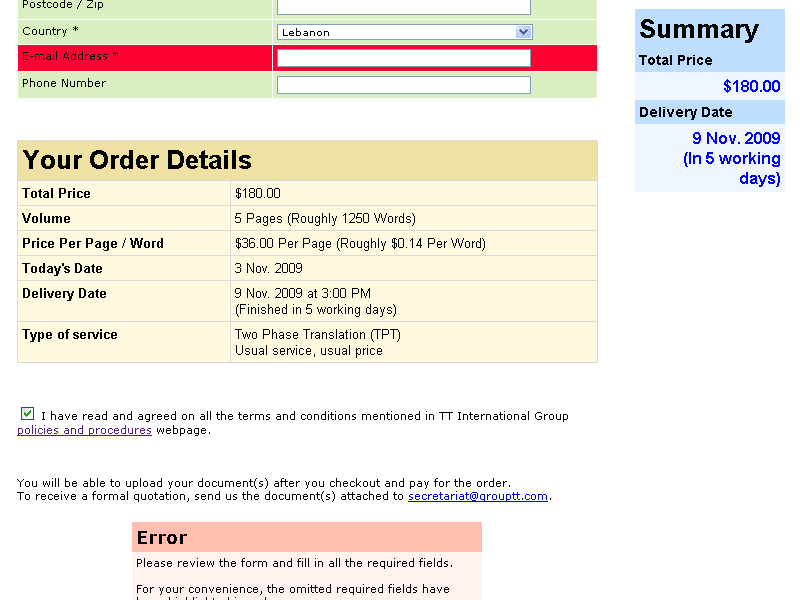 Showing the user-friendly validation engine and the details of the order. Showing the different customization options available for the customer. TT International Group is an international translation company that provides high-quality translation from and into its three languages of expertise: Arabic, French and English. The company is based in Beirut, Lebanon, with representatives in Paris, London, and Geneva.